Annuities have become a popular retirement planning tool, especially as a result of fewer pension plans for retirees. If you’re thinking of using one, make sure that you clearly understand the pros and cons of annuities before you do anything. Annuities can certainly be helpful tools, but most people who are interested in annuities focus only on the benefits without getting a feel for the drawbacks. Hopefully you’ll gain a clear understanding of the pros and cons after reading this, and you’ll be able to make a conscious decision about what’s best for you. Emotions will certainly be part of the equation, and that’s okay — you just need to pay attention to them. For example, you might feel disgusted by the fees in annuities, or, on the other hand, the guarantees might provide a sense of security that you’re willing to pay for. Either way, it’s important to be aware of what’s available, what you have to pay (whether you pay through fees or some other way), and why you choose what you choose. Let’s start with a brief review of some of the pros (and then we’ll get to the cons) of annuities. Some of the benefits are listed below. Guarantees. Annuities offer certain guarantees to investors, including the ability to collect lifetime income (assuming the insurance company lasts as long as you do). The only other way to get the promise of a lifetime income stream is to have a job with a pension. Tax deferral. Any growth in an annuity is tax deferred, meaning you don’t have to report that growth (and pay taxes on it) every year. Instead, you can just reinvest your dividends, capital gains, and interest payments for further growth. Death benefits. Annuities are, after all, insurance contracts. When somebody dies, the insurance company might pay more than your account balance, which is nice if markets have fallen sharply. Psychological benefits. Annuities give some people peace of mind and allow them to invest more aggressively than they otherwise would be comfortable with (of course, this is only a good thing if the person is otherwise able to invest aggressively). Due to the guarantees, annuity owners might be better able to ignore doom-and-gloom headlines and short term volatility. To fairly discuss the pros and cons of annuities, it’s important to spend some time on problems that might arise if you use an annuity. You can summarize these problems as high costs, tax issues, and complexity. Costs. There’s no such thing as a free lunch. In order to enjoy the benefits above, you have to pay a little bit extra. Sometimes the cost is modest, but sometimes it’s extravagant. Annuities are known for being expensive investment vehicles, and for good reason. Too many of them have been used in the wrong way, so people end up paying a high price for benefits that they don’t really need. Flexibility. Annuities are not exactly flexible. Typically, you’re required to keep your money in an annuity contract for a certain number of years. If you pull out early, you’ll most likely have to pay a “surrender charge,” or percentage of the amount that you pull out (perhaps three, seven, or twelve percent – or more – of the amount you withdraw). You can often pull out a small portion without paying surrender charges, but the bulk of your money is locked up. There are some flexible annuities out there, but you often have to pay extra for the flexibility. LIFO treatment. When you take money from an annuity without annuitizing (or handing your money over in exchange for a guaranteed income), the IRS generally looks at your withdrawals as last in first out (LIFO). So, if you deposited after-tax money in an annuity, you have to withdraw all of your earnings (and pay taxes on them) before you can withdraw any money tax-free. Likewise, your heirs don’t get to take advantage of a step up in cost basis after you pass away. Ordinary income. 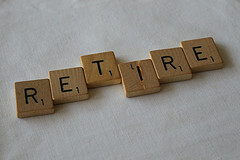 When you withdraw earnings from an annuity, the earnings are treated as ordinary income by the IRS. Ordinary income tax rates are often higher than other tax rates (such as long-term capital gains rates). Even if the earnings inside of your annuity are the equivalent of long-term capital gains distributions from a mutual fund, they’ll be treated as ordinary income when they come out of the annuity. If you’re attracted to the tax deferral benefits of an annuity, you have to weigh those benefits against the taxes you’d pay at your ordinary income rate. However, if you will roll pre-tax money from an IRA or 401(k) into an annuity, you’d have to pay at ordinary income tax rates either way. Age 59 1/2 and penalties. If you use an annuity to invest after-tax money (that is, money that isn’t in a traditional IRA or 401(k)), you may have to pay income tax penalties if you withdraw the money before you turn 59 1/2 years old. Of course, that is the trade-off of enjoying tax deferral inside an annuity. If you had used a regular taxable account instead, you would have paid income taxes and capital gains taxes as earnings came into the account (but you would not have to pay an additional 10% penalty tax for accessing those funds early). There are ways to avoid the 10% penalty tax, but you have to qualify for an exception. Complicated animals. Learning the pros and cons of annuities is difficult because they are extremely complicated. You might not understand exactly what you’re buying, and that’s hardly ever a good thing. Even insurance agents commonly misunderstand the annuity products that they sell. It’s easy to miss an important detail when trying to figure these things out, yet people put substantial amounts of their life savings into these products. Annuities offer numerous benefits, but everything comes at a cost. For example, when evaluating equity indexed annuities, people gravitate towards the idea of limiting risk while participating in the markets. Not surprisingly, the insurance company is also hoping to limit risks and earn a profit, so they put “caps” on the amount you can earn. Unfortunately, many people are unaware of the existence of caps – and even if they hear about them they don’t have a good sense of how they work. Another example is taking excess withdrawals. What happens if you’re receiving a “guaranteed” income stream and you take out more than the insurance company promises to pay you any given year? The answer to that question will confuse almost anybody who asks it. Irreversible decisions. Most of the issues above refer to “deferred” annuities. But it is also possible to annuitize and lock in a higher guaranteed income stream. While more income is appealing, the drawback is that you completely give up control of your money. You can’t change your mind, and you can’t take your money back in a lump sum (although you can try to sell your future payments in the secondary market). If you value flexibility, you’ll experience some cognitive dissonance as you evaluate annuitizing for a larger paycheck. Insurance company strength. Of course, all of the benefits available from an annuity are dependent on the insurance company that you use. If the insurance company goes under, all of the promises they made are gone. Your money might also disappear in some cases, so it’s important to work with strong insurance companies that can survive in an uncertain world. As you can tell, annuities are complicated beasts. Are they all good or all bad? Of course not. Anybody who paints them as completely flawless or completely useless probably doesn’t have your best interests at heart (most likely a salesperson looking for a big commission, or a “talking head” who is more interested in ratings than your financial security). This means that only you can weigh the pros and cons of annuities and how they might or might not be a fit for your situation. Either way, you will gain something while giving up something else. Make a list of what those things are, and then make a conscious decision about what to do.